As a member of the club, you are aloud to participate at rafting trip and we will provide all the equipment for you. Our rafting guides are part of the most experienced guides in Italy. All guides have attended the apprenticeship in Italy and Austria and every two years they attend advanced training courses. We would love to provide a different white water philosophy for our new members. 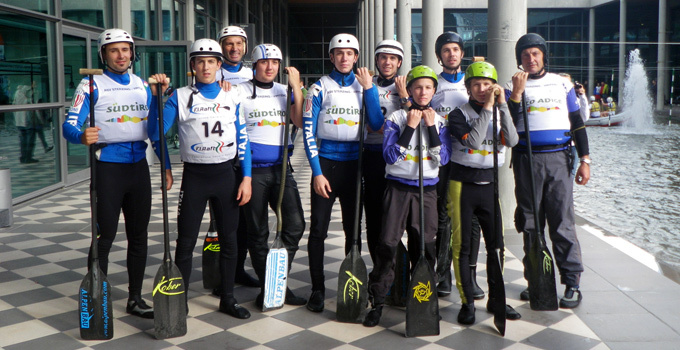 If wanted we can organize a rafting training for competitors with the headcoach of the national italian rafting team Robert Schifferle or Robert Brunner. Every year we organize the rafting race for “Tigerle Champion”. 2013 the race was organized on the 07.07.13.